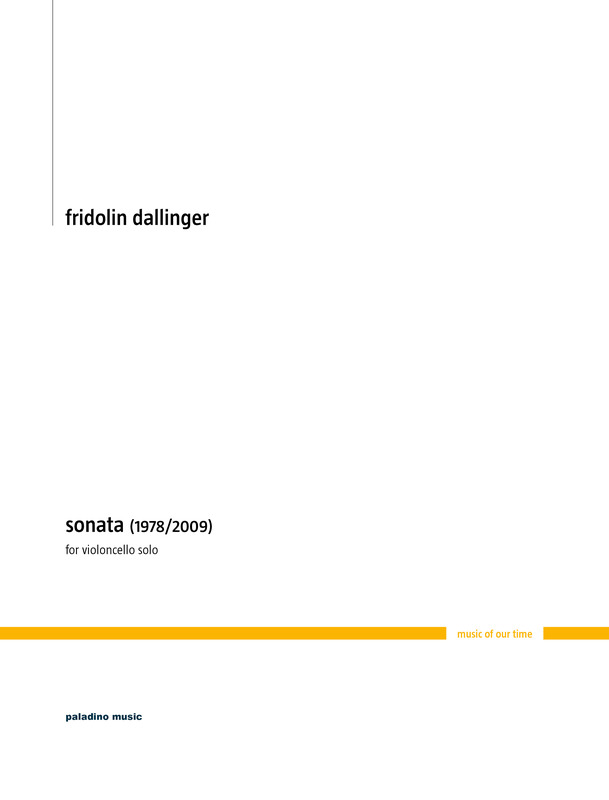 I met composer Fridolin Dallinger in the late 1990s around the time when I started planning the CD that was to become "Mixed Cello". As I was playing a lot with various accordionists at the time, amongst them Elsbeth Moser, Cao Xiao-Qing and Alfred Melichar, I asked Fridolin to write me a piece for cello and accordion (which we then recorded). 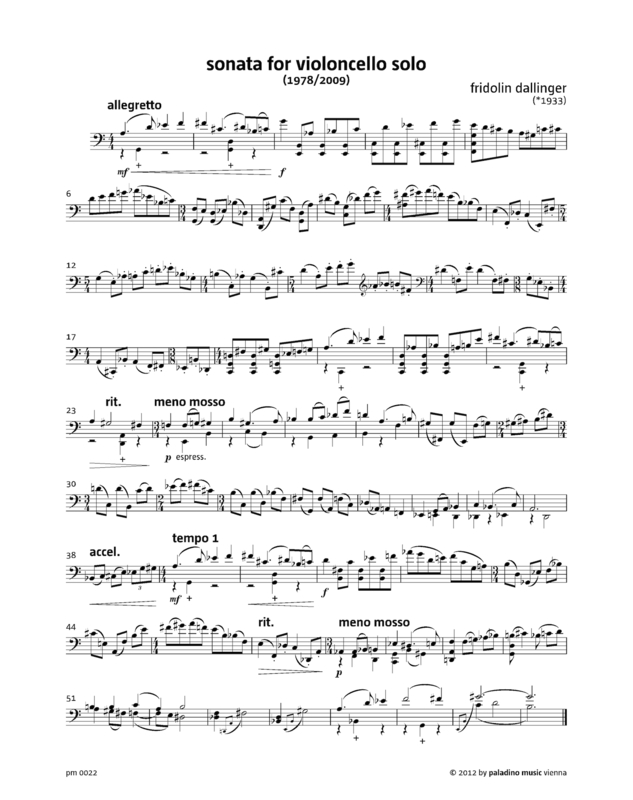 When paladino started its publishing branch in 2011, we discussed which of his cello works might be suitable for publishing, and this solo cello sonata from 1978 was to be the first of a number that we are intending to do. I must admit that I have not yet performed it, but I think it is a very effective work and also suitable for students who are looking for an approachable contemporary work.